After many sleepless nights of studying for examinations, our Higher Diploma and Degree students have completed their studies! The teachers and staff of TMC Academy Singapore heartily congratulate them for making it to the finishing line. 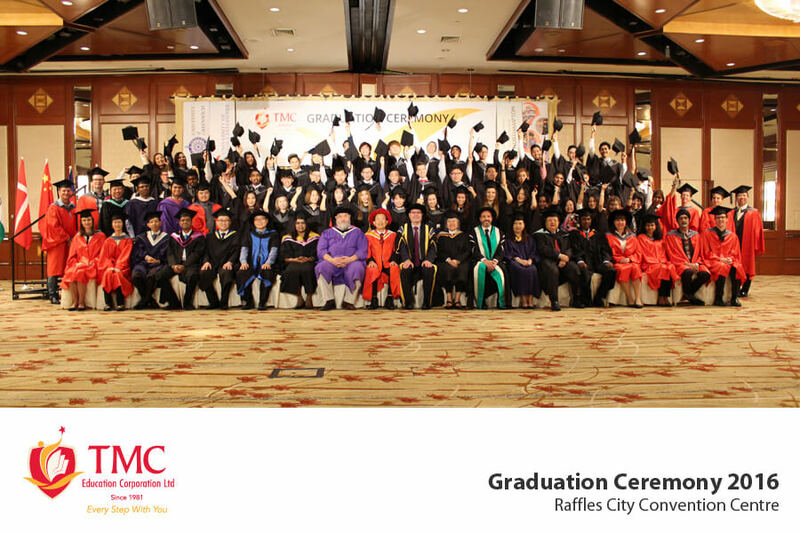 We cordially invite our graduates and guests to TMC Academy Graduation Ceremony 2017 @ Raffles City Convention Centre. All Registration & Payment to be made at the Student Service & Support Counter at TMC Academy City Campus. Registration via telephone / email and late registration will not be accepted. Register by 31 August 2017 30 Sept 2017 to receive 10% early bird discount.